By the mid-1930s, almost every urban area in the United States had electric service. In rural areas, only 10 percent of people had electricity, and investor-owned utilities could not justify building miles of line to service only a few consumers. Today, Ohio’s electric cooperatives serve nearly 380,000 homes and businesses in Ohio, and there are nearly 900 rural electric cooperatives across the nation serving 42 million consumer-members. In 1936, a group of farmers in Licking and Knox counties decided to take advantage of a federal program offered by the Rural Electrification Administration (REA) by forming an electric cooperative known as Licking Rural Electrification (LRE). At inception, five people were employed to service 410 members and 143 miles of electric line. The George Conrad Farm on Smoketown Road was the first member-owner energized. For 40 years, the office was located one mile south of Utica, Ohio, on State Route 13 and was built in 1959. In 1998, LRE moved the headquarters to Newark, Ohio. In October of 1998, Licking Rural Electrification, Inc. acquired National Gas & Oil Company and its subsidiaries, National Gas & Oil Corp., Producers Gas Sales, NGO Development Corp., NGO Transmission, Inc., and NGO Propane.  The Energy Cooperative is the trade name used by LRE and its subsidiaries, which operate as separate corporations. LRE is a cooperative that distributes safe, reliable electricity to more than 25,000 members in nine counties in central Ohio. LRE owns, operates, and maintains nearly 3,000 miles of distribution lines, 32 miles of transmission lines, 20 substations, and three switching stations. NGO is a retail natural gas distribution cooperative that provides natural gas service to more than 34,000 residential andcommercial members within a six-county area. This service is provided through a network of nearly 1,000 miles of distribution pipelines. These pipeline systems have natural gas throughput volumes exceeding 9,000 MMcf per year. Natural gas is delivered to the pipeline system through NGO Transmission and Columbia Gas Transmission Corp. NGO also gathers gas from approximately 300 local wells. Producers was formed in response to deregulation of the natural gas industry. Producers is a marketer of natural gas and serves high-volume consumers. The natural gas service is provided by interstate supply, local production, and on-system storage fields. Producers offers many services that can help businesses budget for their natural gas needs and keep them competitive in the marketplace. NGOD was formed through a series of acquisitions for the purpose of securing local natural gas supply. NGOD operates a number of oil and natural gas wells, participates in joint ventures to drill wells, and also operates gathering pipelines to deliver its gas to markets in several locations in eastern and central Ohio. NGOP is a propane distribution cooperative that serves over 4,000 member-consumers in eight counties. In 1998, it became one of the first metered propane services in Ohio, thus allowing members to pay only for the propane consumed each month. In 2003, NGOT became Ohio’s newest gas transmission company. NGOT provides natural gas service to both affiliates and non-affiliates through a network of 155 miles of transmission pipelines and three underground gas storage fields.